China’s state owned energy giant CNPC look set to spend $5 billion in order to purchase US energy major ConocoPhillips’ stake in the offshore Kashagan oil field, one of largest oil deposits discovered in recent decades, Reuters reported. Houston-based ConocoPhillips announced plans in 2012 to sell its stake in the much-delayed project to the state-owned Indian company Oil and Natural Gas Corp. However, Kazakhstan’s Oil and Gas Ministry has blocked the deal by announcing that it is exercising the government’s right to preemptively purchase an 8.4 per cent stake in the Kashagan development consortium. 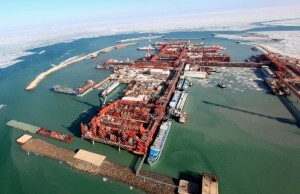 Lyazzat Kiinov, head of the state-controlled KazMunaiGas energy company said CNPC would now purchase a stake in Kashagan instead, according to Reuters. The Kashagan oil field is located in the Kazakh sector of the Caspian Sea and is widely described as the largest field discovered in the past 30 years and the largest outside the Middle East. The purchase would be CNPC’s largest foreign acquisition.